PFLAG has acquired a number of gay and lesbian related books that can be checked out before the regular PFLAG meetings. Ask at the meeting to see the titles. 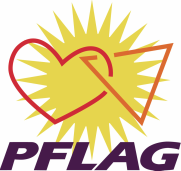 Click button to locate FREE brochures from National PFLAG. Some of the best information available is included in our monthly newsletters. Our editor does a great job pulling information together so we are posting the last couple of years for your reading pleasure. Click the buttons below to access each issue. Reading these online has the added benefit of active links - see a link in an article - click to get even more information on that topic.